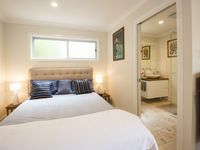 Property 10: Spacious Bangalow Apartment for short and longer stays. Property 25: 'Amor' - Hidden Oasis! Property 38: Ahhh - Ocean View Apartment! Property 42: Seaside Escape @ Lennox!